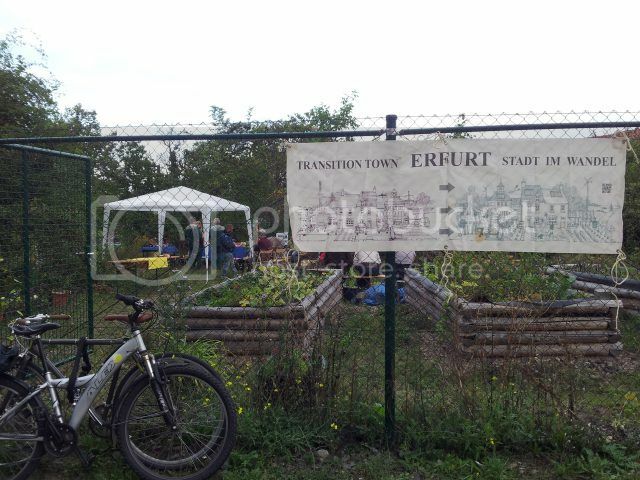 Anybody who has lived in Erfurt for years knows that Erfurt Nord is an industrial area. Forged by concrete and steel, it was known for prostitution and violence. If you told anybody here that Metallstrasse was named the “Most Beautiful Street in Germany,” they would laugh their asses of. There is nothing beautiful about bricked over lovely art noveau buildings and brothels. 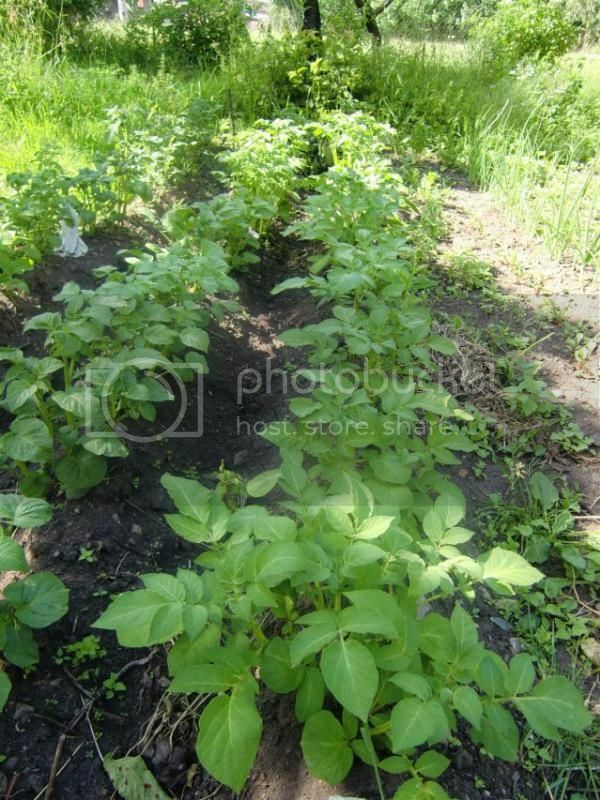 However, a group of people wanted to grow their own food, and live with nature, without necessarily having to leave the city. And found a place to do it, in cooperation with the industries in the area. I am very grateful to have the Garden move where it is currently located. The Garden has become a place for people to gather and connect. It has begun revitalizing a once-dreaded neighborhood. Families are moving back here, partly because of the Garden. Old buildings are being renovated for residential purposes. Old people come and reminisce about the history of the Garden, what the place used to look like before, during, and after the war. 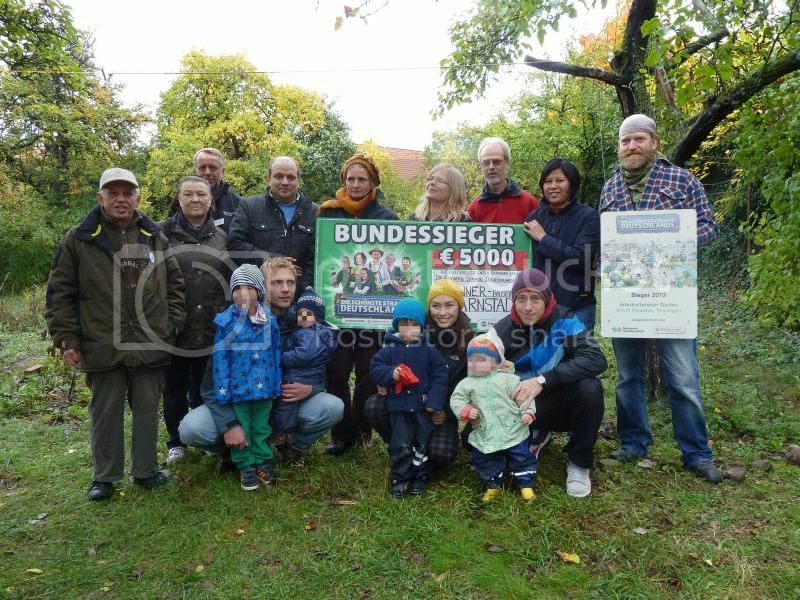 And because of this, the Intercultural Garden Erfurt is one of ten winners nationwide of “Die Schönste Straße Deutschlands,” the initiative of a local chain of hardware stores and Netzwerk Nachbarschaft. Kudos to Karin, the current president of this initiative, and for the current members who all lend a hand in the transformation of an impoverished district. I am so very glad that this Garden exists, and that I am a part of it. It is certainly well-deserved! Okay. So. Normally with the onset of Fall I gather apples from my apple tree. Alas, that will be no more. I am really sad with the death of my apple tree. And I am trying to get over it by spying on Walnuts. Walnuts everywhere! I just can’t believe how many walnut trees are growing wild along the streets of Erfurt. For some reason my spider-senses immediately spot a walnut tree from far away. 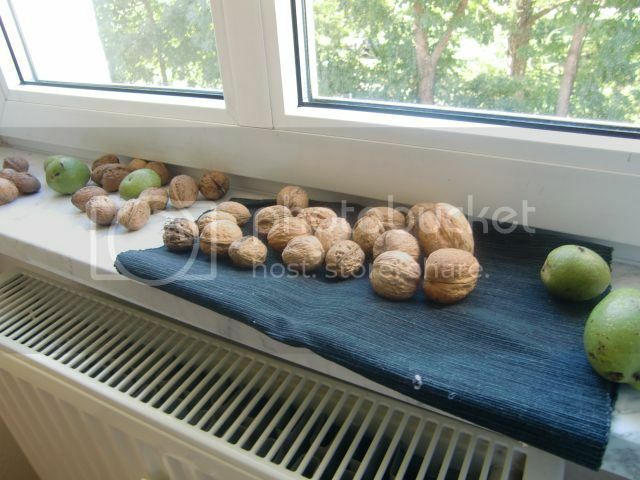 The walnuts on my windowsill are the fruits of five different walnut trees spotted in Erfurt. I’m reading up on how to properly dry and store walnuts. If you have any tips I would be very grateful! It’s time to wind down this year’s farming season with an harvest festival. Although this year I am quite glad that I am not dependent on my garden for sustenance. This year’s tomatoes are quite good, but this year’s potatoes, apples, pears, pumpkins did not quite make it due to the weird weather this year.
. Despite that, a year of hard work and cameraderie is always a cause for celebration. The Pear Cake made a debut, along with a batch of Taboule. The pears were a gift from a tree, and the veggies and herbs in the salad came from my balcony and the garden. Along with home-made elderberry soda, it was a great way to use what grew this year. Unfortunately, I couldn’t stay so long. It was great to meet the new people in our ever growing community garden, and I’m looking forward to enjoying the fruits of the summer this fall and winter. The air is starting to be crisper, leaves turning into wonderful shades of red and brown. Truly, Fall is slowly creeping into my kitchen as well. I got a windfall of pears, and I have been itching to try out a recipe ever since I saw a picture of it in New Urban Farmer from Celia Brooks Brown. Apart from its appearance, the cake is also unsusual in that chocolate cakes are normally made moist by the amount of oil in them. This is made moist by the pear juice. It looks really stunning in person and I can only recommend this cake. 100 g all purpose flour, 1 packet baking powder, 50 g cocoa powder, 50 g ground almonds, 175 g softened salted butter, 175 g brown sugar, 3 eggs, 2 Tbsp. milk, 5 small pears or 4 big pears. You need a 23 cm (9 inch) springform pan. Line it with parchment paper and grease the sides. Pre-heat the pan to 180°C. Mix the dry ingredients together well. First the flour, cocoa and baking powder, then the ground almonds. With an electric mixer, mix the butter and sugar together until fluffy. 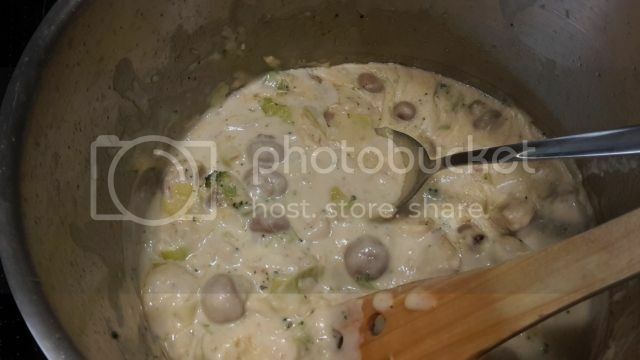 Mix in an egg, and add a tablespoon of the dry ingredients. Add the two other eggs, then the flour mixture with the milk. Pour this into the pan and spread it evenly with a spatula. Slice off the bottom of the pears and place them in the batter. 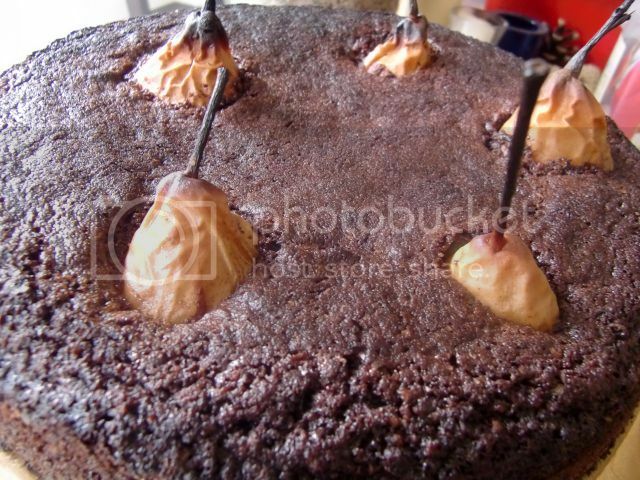 Make sure that the pears are at least an inch apart and an inch away from the border. Place in the oven for 45-60 minutes. (I followed the recipe but I ended up with a burned cake. I’d say 30-45 minutes. trust your instincts on this one!) Let cool and separate from the form. Could be served with whipped cream. 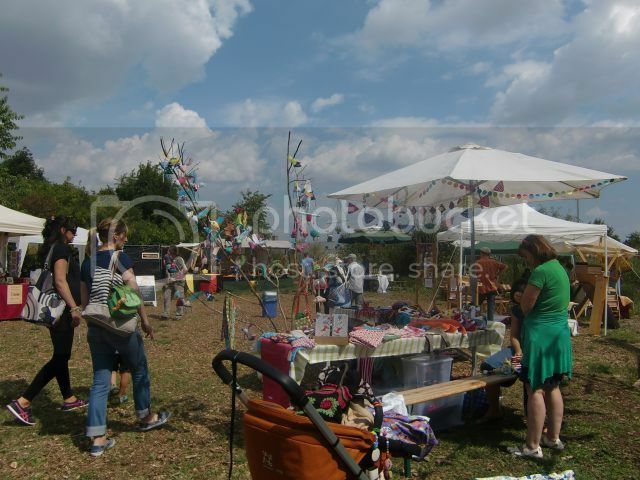 I got an e-mail that informed me of an event called RegionNah market on Tag der Nachhaltigkeit (Sustainability Day) in Erfurt last August 10, and so I trooped to the corn field maze, where they were holding the event. Local entrepreneurs got to showcase their products, and got to see really cool demonstrations and talked to many like-minded and interesting people. This year’s purchases were: A three-liter carton of apple juice made from Streuapfel, or apples picked from fogotten or uncared-for trees in Apolda; honey from Fuchsfarm, a project similar to ours; honey from a local bee-keeper, and mustard from Jena. Interesting products were ostrich meat and eggs from an ostrich farm near Hermsdorf, Goat milk products, and wood jewelry and carvings. It was a great way to get to see what other ecological projects are going on in the area. I am looking forward to next year’s event! Sweet, sweet cherries have arrived! 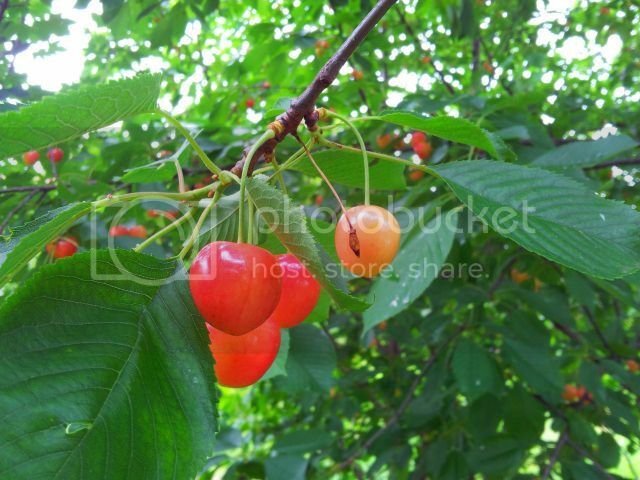 There are two cherry trees in the city that I forage cherries from. One is right next to my son’s kindergarten. I’ve been patiently been watching the cherries turn red, and here they are! So I took three lunchboxes with me last week, and turned my three-year old son into a criminal by trespassing into someone’s unguarded property to pick some cherries together. Cherries are normally a pain to turn into jam, since you have to pit them all to work with them. These cherries were so sweet that it took two packets of citric acid and a dash of extra pectin to get them to jelly. I am eagerly awaiting the end of July, during the sour cherry season. They are better suited for jam-making. What I’m not looking forward to are days of darkened fingernails and stained aprons. Oh well, the product is worth it anyway. The community garden is doing well and going strong. This year’s crops include: onions, potatoes, zucchini, and garlic! Leeks from last year have re-sprouted, and a new potato bed is going strong. I am really happy with the work that we do, even if all I do is water plants and weed. On my balcony, the strawberries are still in their baby stages, but the pechay (tatsoi) is doing very well, and have all bolted because of the very hot weather we’ve been having lately. I’ve got zucchini growing out of a pot, as well as two varieties of tomatoes and some onion, as well as my usual herbs. My dill hasn’t been doing so well, I think it has a bug infestation, or it doesn’t like the onion next to it. This weird wet/hot/humid weather is making my balcony plants act irrationally. My Thai basil for example have stunted growth and bleached leaves because of the long cold, then the intense heat of the past few days. All in all, I am looking forward to a bountiful harvest. I’ve already helped myself to the red beets from last winter. See you at the garden! Jein is one of my favorite German words. It starts with a soft “y”, and with the sharpness of the “ein,” at the end, makes it sound like an ache you cried out. I’ve been thinking about the move. If the commune were willing to give me the space in the attic, then I would definitely say JA. But the thought of downgrading my life to 16 square meters is exhausting, especially with everything that has been going on in my life right now. A kitchen of my own, I’m sorry to say after self-examination, is a non-negotiable. I really searched within myself if I were willing to share a bathroom with somebody not in my immediate household. Yes, and I’ve done it before. Not having even a teeny-tiny tea kitchen? No. The space in the attic, they said, will be used as a common space, and they don’t have the money to build it anyway. If I were able to come up with the financing and be a member of the e.V. and not just be a renter, that would solve that. The biggest equation in the “yeahbbut” debate was my current job situation. I am willing to move to other parts of Germany, and overseas, if need be. That would make the whole commune living argument moot. In fact, that makes even moving to a different part of Erfurt, which my father-in-law has been asking, and I have been resisting for different reasons, moot.